Need a bit more space? Choose our 32″ x 16″ double wide niche for your new shower. This niche will provide you with plenty of space for bottles, soaps and any other accessories you may have. 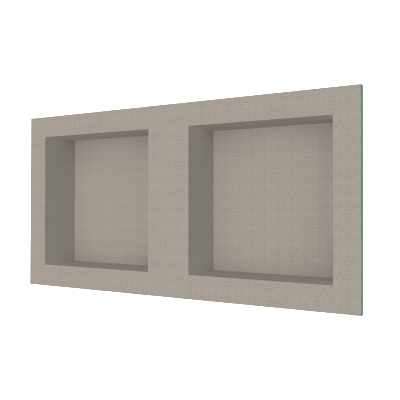 Because of its convenient size, this niche can be placed horizontally across two 16″ OC wall stud spaces, or vertically in one 16″ OC wall stud spacing. This larger niche installs as easy as any of our smaller niches.